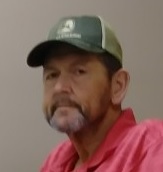 Ray Mitchell "Buck" Connell, Jr.
Ray Mitchell “Buck” Connell, Jr., 61, of Mocksville passed away Wednesday, March 20, 2019 at his residence. Born in Rowan County on March 28, 1957, he was the son of Betty Jo Trexler Connell and Ray Mitchell Connell, Sr.
Buck was a 1975 graduate of Davie County High School. He was owner and operator of C&C Express Trucking, and earlier worked at Celanese. He was a member of the Rowan County Rescue Squad, serving as Assistant Chief and also taught firefighting at York Tech. Buck was awarded the Good Samaritan Award by the Civitan Club of Salisbury in 1990, the Squadman of the Year Award by the Rowan County Rescue Squad in 1996, and the Gleckler Award by the Humane Society of Rowan County in 2014. He was of the Christian faith. Those left to cherish his memory are his parents, Betty Jo Trexler Connell and Ray Mitchell Connell, Sr., both of Mocksville; son, Matthew Connell of Mocksville; brother, Terry Wayne Connell of Mocksville; sister, Donna Kay Carpenter (Lonnie) of Cooleemee; special friends, Eric and Lorie Corriher and Johnny Kluttz. Visitation: 12:30-1:30 PM Friday, March 22, 2019 at Victory Baptist Church, 160 Midway St., Cooleemee, NC 27014. Service: 1:30 PM Friday at Victory Baptist Church with the Rev. Shelby Harbor officiating. Burial will follow at Rowan Memorial Park, 4125 Franklin Community Center Rd, Salisbury, NC 28144. Memorials may be made to Victory Baptist Church, P.O. Box 686, Cooleemee, NC 27014 or the Humane Society of Rowan County, P.O. Box 295, Salisbury, NC 28145. Lyerly Funeral Home is serving the Connell family. Online condolences may be made at www.lyerlyfuneralhome.com.